On other discussion sites dealing with music in general, or specialising in early music itself when the subject turns to Munrow people ask why he so tragically ended his life..This is understandable, and arguably we have the right to know..at least the official story. Admitedly, what follows is from memory, but originates from a long article in a local High Wycombe (Bucks) newspaper. In it Mrs. Gillian Munrow at the Coroners Court claimed amongst other things that her husband did not have any financial, or health problems. The cause of his demise was arguably the death of his father (from cancer), and his father-in-law (a road accident). This had a "devastating effect" on him as she put it. I cannot recall whether Jasper Parrott. DMs agent was present, or not at the above coroners hearing. A statement was possibly read out. ....Woodland Court had a gatehouse with stable and coach house, since demolished and replaced by two substantial new houses. The gatehouse was at one time owned by David and Gill Munrow. 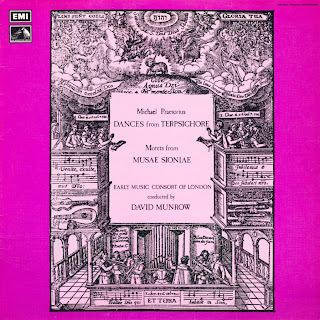 David Munrow was celebrated conductor and co-founder with Sir Christopher Hogwood of the Early Music Consort, which made over 50 recordings. Sir Christopher Hogwood went on to found the Academy of Ancient Music, which specializes in performances of Baroque and early Classical music using period instruments. David Munrow committed suicide in 1976 while suffering from depression. There are many rumours as to why. He used to overwork, and it appears from the original court records that he was deeply upset by the death of his father, and then, shortly after, his father-in-law. This appears to be key cause of his demise. Indeed, his only book is dedicated to both of them. On the day of his passing he, and his wife Gillian were intending to go to Venice. However, she found him hanging from the hayloft of their garage in Chesham Bois, Buckinghamshire. They had not lived in the area for long, and had previously had a home in St.Albans, Herts Furthermore, Munrow had attempted suicide via a drug overdose in 1975. James Bowman his singer for his Consort lost his singing voice because of the shock of his death, and had to be re-trained.